This old photograph was for sale in the Vide Grenier at the Fête de la Branda in Gorbio last Sunday. 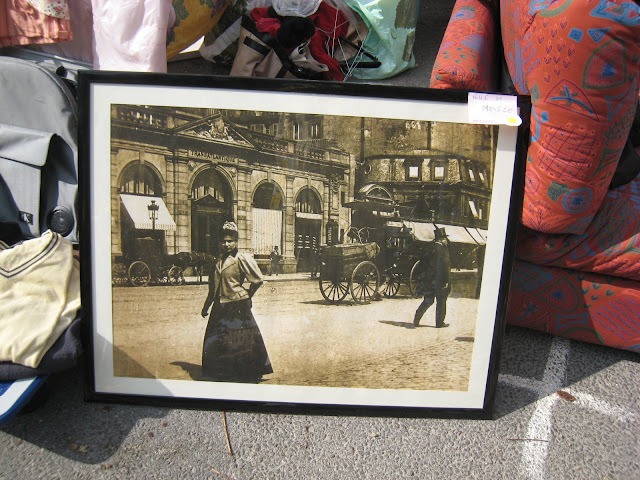 The seller told me it was taken in Avenue de Grande Bretagne in Monaco. I love those bygone photos. Have you bought this beautiful photo or something else? Historical photos are such a treat. I like these old photographs. Did you buy it? It's a great looking picture. Is it now hanging on your wall? Thanks for the visits. No I didn't buy it. It really was awfully big and I couldn't think where to hang it- my walls are pretty choc-a-bloc with too much 'stuff' as it is - sure I'd have found somewhere. The lady was asking 35 euros for it, by the way. This is a smashing shot, timeless!